Marla Martenson has, let’s face it, an extremely strange and somewhat “cool” job. Her daily grind is made up of power-broker men who are usually short, chubby, and bald, looking for that ultimate Double DD, blonde-haired goddess to marry and have children with. Of course, they all say that what they’re looking for is “smart with a great personality,” but we all know better. On a daily basis, Marla has to hobnob at parties and recruit women to join her ranks of the “beautiful” people. The egos that she has to deal with – including that of her boss – are so large, that it’s surprising they can all fit in such a small area of the country. Perfection, of course, in Beverly Hills is a prerequisite, so even Marla has a hard time not running to the local “plastic-man” for her injection of Botox. In this book, Marla begins by letting us know about her own background, and how she came across and fell madly in love with her Latin-lover Adolfo. They are absolutely hysterical when they’re together, calling each other “Lucy & Ricky” when they speak, yell, or play. He is a man with an extremely wonderful musical talent, and plays the piano at a local club. He loves Marla and wants nothing more than for her to keep her job during the bad economy, and make sure she never cuts her long, beautiful red hair. Marla goes into her office and revels in the fact that the décor is certainly beautiful. She’s a woman who can boast about a lot of success stories, as she has many pictures on her wall of couples who are now happily married simply because Marla introduced them way back when. Now, her boss is a bit on the difficult side. At the beginning of the book, he fires a young woman from her matchmaker position, and saddles Marla with most all of the work that the company currently has. She spends her days reading and writing emails (which are absolutely hysterical, by the way) between herself and her “girls,” as well as the men who are longing for their soul mates; some customers even do book-length “write-ups” about what type of woman they’re looking to spend their life with. When Marla originally moved to L.A. she wanted to be an actress, and still sometimes goes out on calls, but matchmaking seems to be her innate gift, so whether she likes it or not, she’s stuck with her position. The amount of stupidity and egomaniacal speech that she has to put up with from some of her clients would make most women turn away and go get a job at Walmart, just for the peace and quiet. Not to mention, some of the girls are extremely upfront with her about only wanting one of these old, rich men so that they can buy the latest Gucci bag, and they can’t see why the millionaires don’t understand that they have to “shell it out” in order to get someone as beautiful as they are to even talk to them, let alone score a second date. The back and forth banter in this book is absolutely hysterical, and mind-blowing all at the same time. It certainly does show that these types of things are not exaggerated – there are really men out there who think Double DD is part of a woman’s SAT score; and, there are women out there who couldn’t get any higher than a Double DD on the test if they tried. Quill Says: With the meteoric rise of Patti Stanger and her show on Bravo called The Millionaire Matchmaker, it comes as no surprise that this subject is in the limelight of the publishing world. 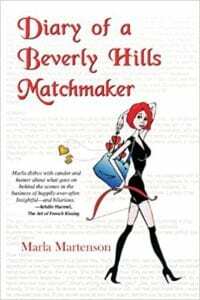 These stories of the beautiful, not to mention extremely rich, people, that these “matchmakers” meet on a daily basis, will keep you laughing until the very last page. They’ll make you want to quit your boring ho-hum job and head to the coast ASAP!